Join us for DeSales Cares: An Evening with Cris Carter on Additions and Support. 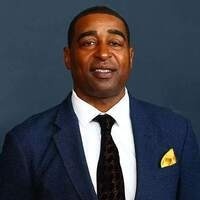 NFL Hall of Fame wide receiver Cris Carter and Joe Ashdale of Ambrosia Treatment Center will provide support and information to help combat this epidemic that affects us all. University students, staff, friends, and family are welcome to attend this free event.